Poi is one of the flow arts’ simplest and most common forms, where you swing two small weights around on cords. 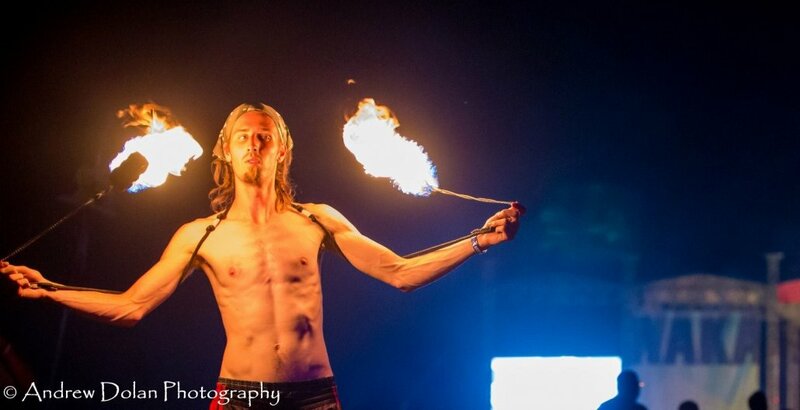 Ben will teach all the intricacies of poi, a very fun flow arts prop that can be used with and without fire. The Dream Team Spinners is a group hailing from the Chicago suburbs and the Northwest Indiana area and Las Vegas. They have five plus years of experience performing and this is their 4th year performing at the Festival. Ben hopes you will participate in the some of their other workshops over the weekend at the Library or come see them perform Friday, Saturday and Sunday nights. Limited to ages 15 and up. Open to all skill levels. All Telluride Fire Festival events at the library are free and open to the public, but space is limited and pre-sign up is required. All props will be provided.